Richelieu Traditional Metal Pull - Antique English - 3 in C. To C.
Traditional metal handle by Richelieu with fleur-de-lis post at each end. This product will enhance your kitchen and bathroom furniture. This spoon-end Richelieu pull works really well with classic style dicor. Elegant detailing provides the right accent for kitchen and bathroom cabinets. 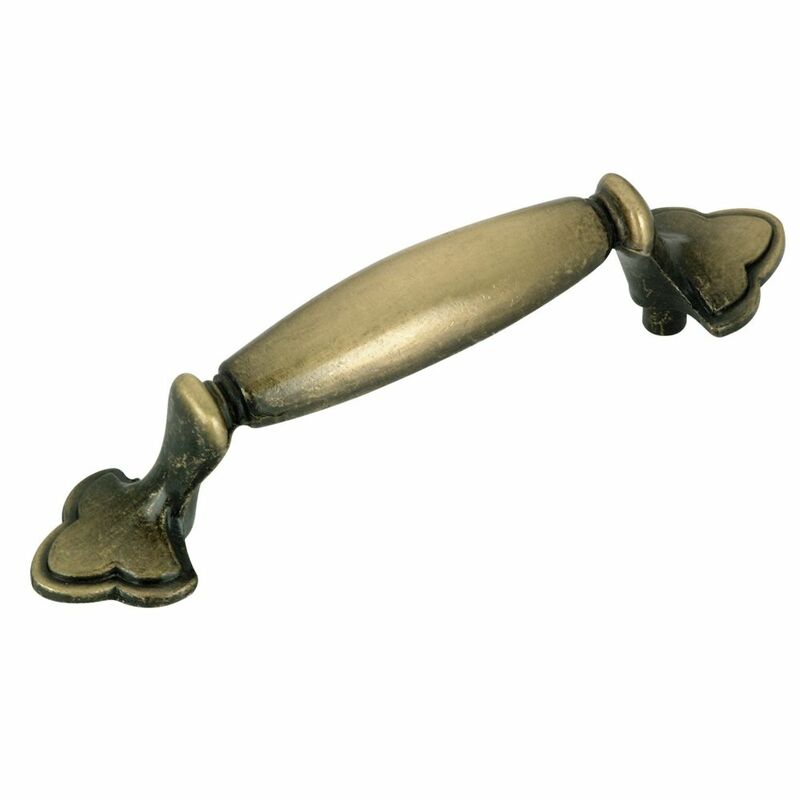 Add a classic feel to your cabinets with this Richelieu pull. The simple lines and smooth, rounded ends mean this pull works well with various styles of home dicor. Add a touch of opulence to your home dicor with this richly embellished handle by Richelieu. A classic design to enhance the ambience of your kitchen or bathroom. Designed to give cabinets a classic look, this Richelieu handle features an elongated shape and versatile design, Perfect for any room in your home! Traditional Metal Pull - Antique English - 3 in C. To C. Traditional metal handle by Richelieu with fleur-de-lis post at each end. This product will enhance your kitchen and bathroom furniture.